We love taking a day trip. They can be hard to organize, difficult to fit in, cost money, and all around take up an entire day . . . but in all that it takes to get away for an extended amount of time, the rewards can be plentiful. 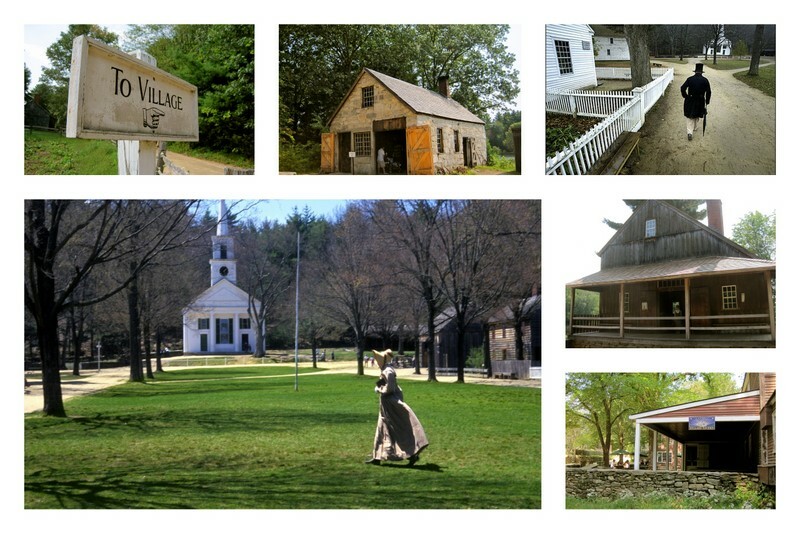 So when Groupon offered a deal to Old Sturbridge Village (a month or so ago), we decided to go for it. 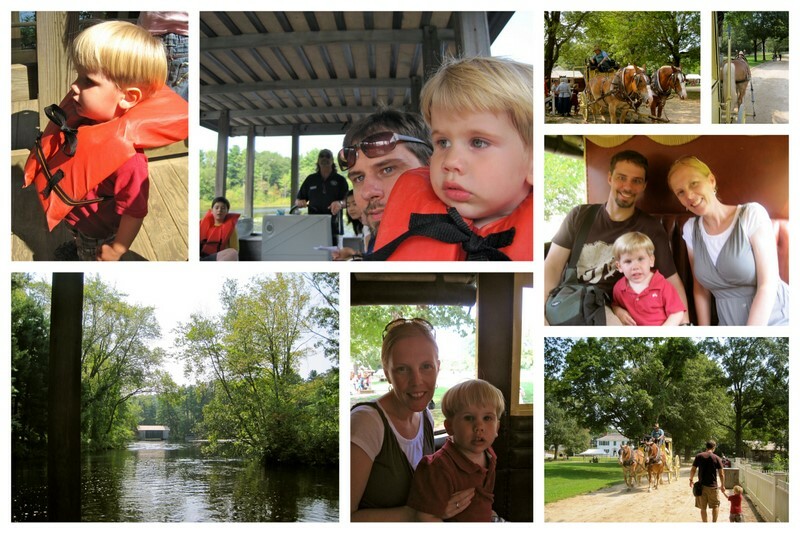 Old Sturbridge Village is a living history museum, where you get to “experience early New England life from 1790-1840.” Andrew and I both enjoy learning about history. 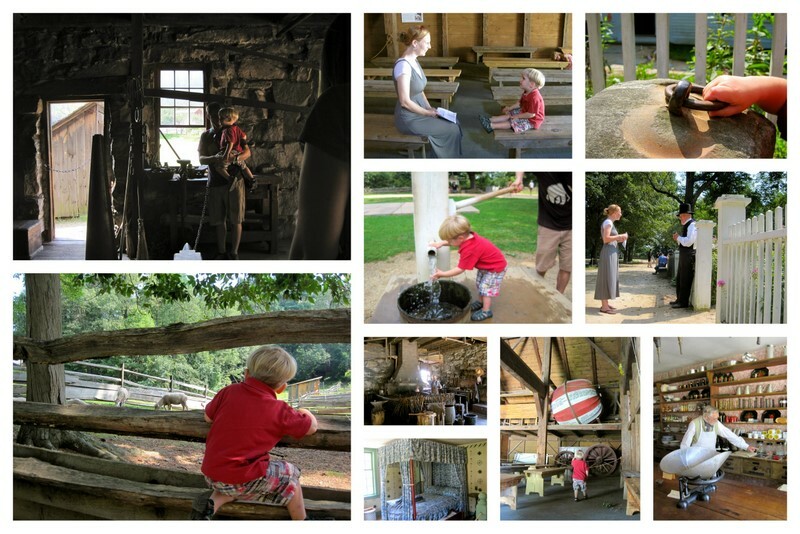 We had a really lovely trip to Plimouth Plantation a year ago (see our trip to Plimouth Plantation). 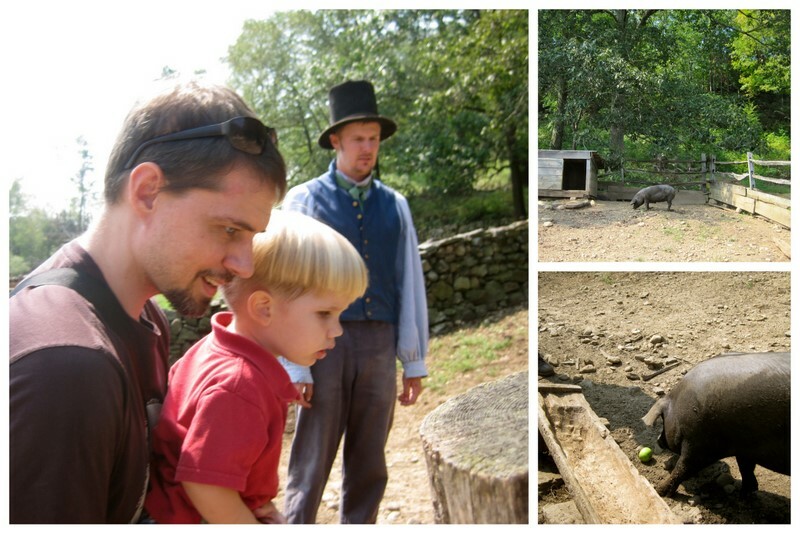 We fell in love with Old Sturbridge Village, because from the moment we arrived it surpassed our expectations. 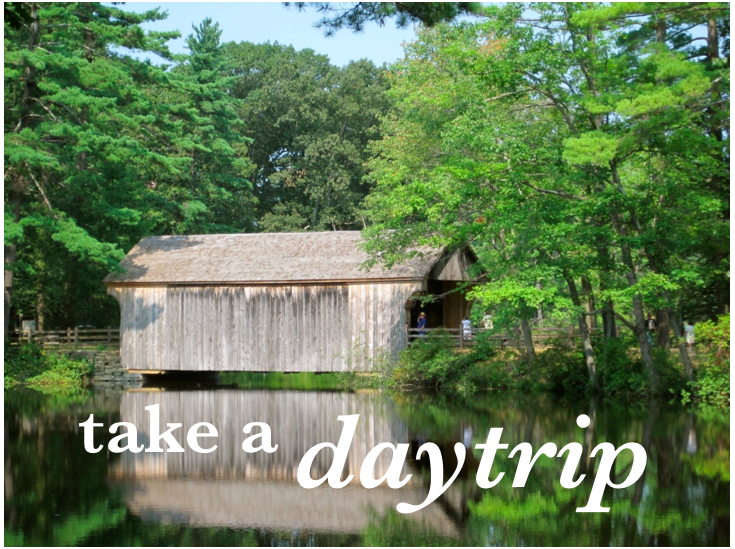 Old Sturbridge Village is on over 200 acres of land, it is not only a village of houses and buildings, but you can explore paths to farms and fun places on the outskirts of the land. We have decided that as much as we can, our little guy will adventure with us. It is our desire that he too would love to adventure in all kinds of ways. 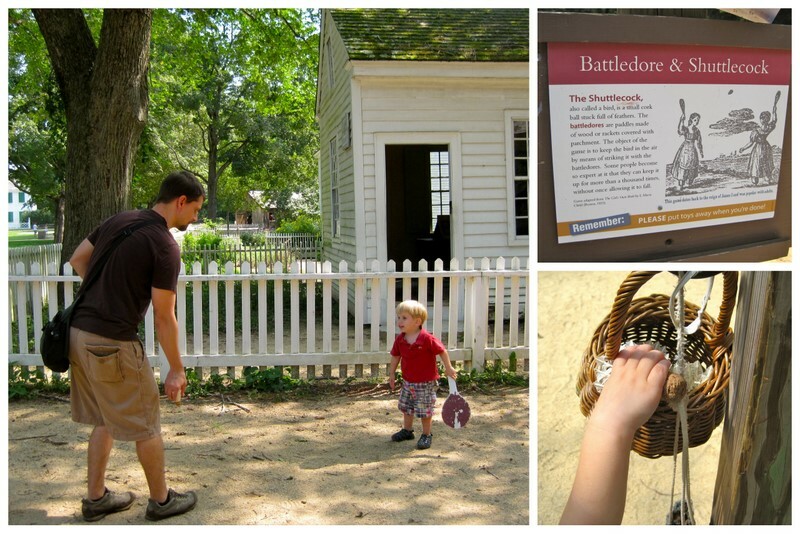 And we did find that Old Sturbridge Village was interactive, and that there were all kinds of things to do for children of all ages. Two of the things he loved most were playing badmitton (battledore & shuttlecock) . . .
And feeding a pig an apple . . .
With the groupon we got tickets to ride the Riverboat and the Stagecoach . . . These are my favorite kind of days, where I get to explore and learn with my two favorite adventurers. As we were leaving I was already looking forward to the time when we would return again . . . we loved our daytrip . . . This was our first multi-hour-ed adventure where we chose not to go with a stroller or lots of paraphernalia. Andrew is carrying a small bag that had water and snack for Cole. That was all we brought, and our two year old had a tremendous time. Still encouraging you to check out some of the other 31 Days blogs. There are now more than 700 and can be found here. I love popping over and checking out one or two. One that I have enjoyed is 31 Days to Hoarding Your Money, I will be checking in there for frugal tips this month. Did you know you can see all of my 31 Days posts on one page? Updating as we go . . . 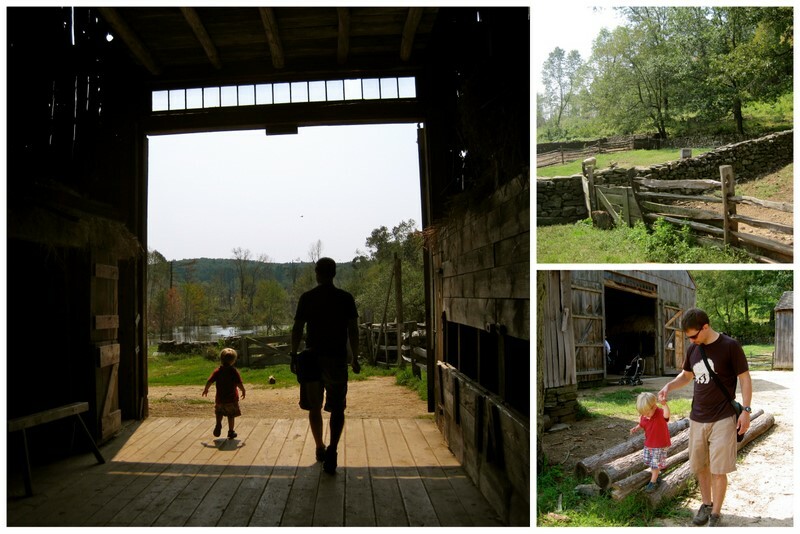 This entry was posted in 31 Days of Intentional Adventures, Adventure. Bookmark the permalink. I am also enjoying your blog. If I would have know about the 31 days of blogging AND if I was bold enough, I would have blogged about adventures also. So, it works out that I have found your blog and I can be inspired to set some adventure goals for this month. I need to break the monotony. Thanks a bunch! !